So, you’ve finally gone all out and bought a new laptop. If this is your very first journey into the realm of mobile computing, there are probably some things you will need to know to make the most of your new device. Many people just don’t realize all the ways in which a laptop differs from a desktop, so here are five laptop accessories you can’t go without (well, you could, but it wouldn’t be as much fun!). One of the most difficult transitions to make when beginning to work with a laptop is that touchpad just below the keyboard. Those who are used to right and left clicking on a mouse will often find it hard to negotiate the two buttons on the bottom of the pad. But that isn’t the worst of it. Many (in reality, most) laptops have the odd habit of sending the cursor flying up and down the page you are typing on because the touch pad is ultra sensitive. If you turn it off in settings, you have to keep turning it back on to use the mouse, which is a royal pain. The best option is to get a small USB mouse made for laptops. You will never need to play ‘find the cursor’ again. They are called laptops because they sit nicely on your lap, which allows you to get nice and comfy while you are using it. One of the things you will notice, though, is that they get very hot. Not only can this burn your legs, but there are times when insufficient airflow will set off an internal warning and the machine will turn off. You can find a lap stand with a fan (USB powered) that prevents both of these things from happening. Another great thing to have is some extra portable memory. Amongst the most common types of portable memory are memory cards and flash drives. 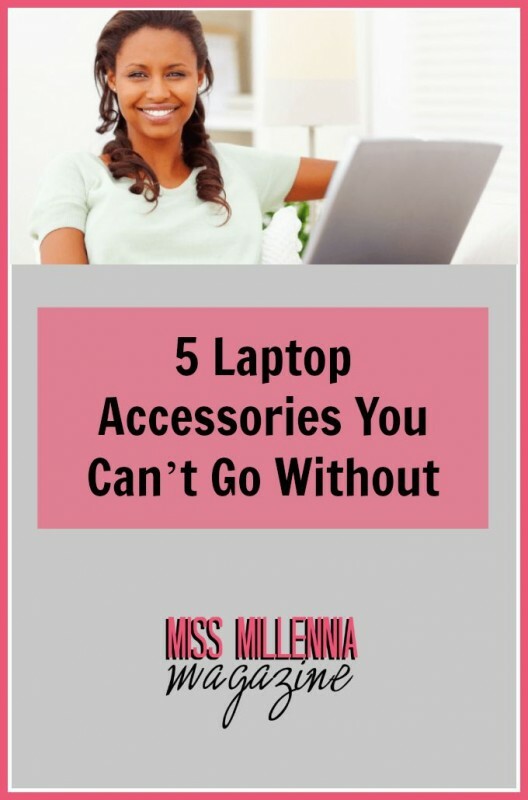 You may be asking why would this be necessary if your laptop is already portable. There are times when you may want to share files with friends, family, and co-workers. Do you really want them to have access to your computer with all your personal and/or sensitive data? These are quite inexpensive and often can hold just as much data as your hard drive. Which leads to another reason for having them. They are a great way to run regular backups so that you don’t lose data if your machine suddenly crashes. At home, you can always turn your monitor in a different direction or close the curtains if daylight is interfering with what you can see on your laptop monitor. However, it’s now possible to find really handy plastic sheets that fit on your laptop screen to protect it from scratches. They are also anti-glare to prevent sunlight from interfering with what is on the monitor. These are especially handy if you have a touch-screen laptop. Over time, the oils in your fingers damage the monitor screen and it is a whole lot more expensive to replace it. So why not protect it with an anti-glare screen protector? Finally, since your laptop is portable, it is essential to have a good quality laptop travel bag. It is important to know that there are different sizes and qualities available. Make sure you know the dimensions and weight of your laptop. Also, take note of whether or not you will ever need to carry your laptop anywhere it might be subject to bumps and drops. In this case, a padded soft nylon case might help, but a hard shell laptop travel bag just might offer the most protection. Laptops are not cheap so it is best to get the most protection possible. Whether you are looking for portable memory or a stylish laptop bag from Global Luggage, these five laptop accessories are ones you really can’t go without. Once you start working (playing?) with that laptop, you’ll see why.